While teaching she co-authored a textbook for the two-year college market (Writing Technical Reports, adapted for the Canadian market as Some Assembly Required. McGraw-Hill, publisher). Now in addition to freelance editing and writing in various genres—thus, a “nicheless author”—her interests include traveling, photography, old grist mills, and Neolithic sites, especially stone circles. 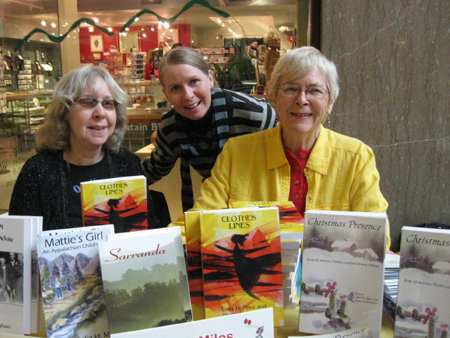 Her novels are A Thyme for Love, ThymeTable Mill, Mattie’s Girl: An Appalachian Childhood, Sarranda, and (in 2010) Journey to Stenness. Two short story collections are On a Slant: A Collection of Stories and Islands One and All: Stories and Otherwise.